Salem Woods - Just Minutes From Schools, Shopping, Dining, Parks, Suntrust Park, Ksu, Chatt Tech, & Hospitals MLS#6530952. Era Sunrise Realty. Entertain Guests In The Private Fenced Backyard! MLS#6531263. Keller Williams Realty Atl North. Free Appraisal And Fast Closing When You Use Preferred Lender Alison Eloquin Of Certainty Home Loans For Lending. MLS#6531581. Keller Williams Realty Atl North. Gates At Parkside Village - Two Miles From Wellstar At Kennestone Hospital. MLS#6530726. Keller Williams Realty Atl North. 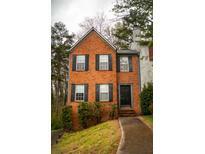 Walk To Marietta Sq., Wellstar Kennestone Hospital And Kennesaw Mtn Trails. MLS#6527343. Maximum One Community Realtors. Magnolia Chase - Close To Marietta Square, Shopping And Restaurants. MLS#6530794. Keller Williams Rlty, First Atlanta. Chimney Trace Features Tennis Courts, Greenspace Area And Pool. MLS#6530413. Keller Williams Realty Signature Partners. This Townhome Is Sure To Not Last Long. MLS#6530481. Keller Williams North Atlanta. Just Minutes Away From The New Atlanta United Practice Facility And Just Minutes Away From I-75. MLS#6530607. Berkshire Hathaway Homeservices Georgia Properties. Seller Holds A Real Estate License. MLS#6530906. Onesource Real Estate, Llc. The University Offers A Bus To The School. MLS#6530243. Berkshire Hathaway Homeservices Georgia Properties. Step-Less Entry Ranch Condo With A Private Fenced Backyard, In A Well-Established Community With Amenities, Within Walking Distance Of Marietta Square, Wide Entrance Foyer, Large Laundry/Furnace Room, Master Bedroom Has Its Own Patio With Private Sliding Glass Door, Both Bedrooms Have Their Own Bathroom And Walk-In Closets. Landscaping Underway MLS#6530421. Yates Estates. New Plumbing & Garage Door. Near Pool & Tennis! MLS#6529798. Anne Tamm, Llc..
Princess Square Condominiums - Upper Level Has Two Oversized Bedrooms, Bathroom And Laundry Closet. MLS#6530075. Live Love Atlanta, Llc..
Drive Under Garage, Live Above, Walk Out Balcony, Convenient Location To Schools, Shopping, Highways, And Marta. MLS#6529649. Yates Estates. Sewell Farm - Home Is Piped For Central Vac But Motor/Attachments Not Included. New Insulated Garage Doors! MLS#8555135. Keller Williams Realty. Glen Ivy Townhomes - Lower Level Room With Attached Bath Can Be Bedroom Or Bonus Room. MLS#6529082. Ansley Atlanta Real Estate-Atlanta North. Glen Ivy Townhomes - Lower Level Room With Attached Bath Can Be Bedroom Or Bonus Room. MLS#6529072. Ansley Atlanta Real Estate-Atlanta North. Perfect For Entertaining! Submit Your Offer Today! MLS#8555377. Worthmoore Realty. Home Has New Interior And Exterior Paint, New Carpet, And New Hvac. No Hoa! MLS#6529327. Realty One Group Edge. It Is Near Shopping, Dining, & Marietta Square With Very Easy Access To Major Interstates. MLS#6529155. Maximum One Realty Greater Atl.. 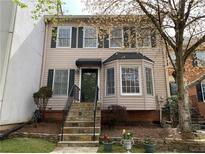 Newer Hvac, Windows, And Gutters Make This A Worry Free Investment Close To Shopping With Easy Commutes. MLS#6529087. Club Realty Associates, Inc.. Unique Floor Plan With High End Finishes-Home Was Purchased New Construction In 2014 MLS#6527552. Your Home Sold Guaranteed Realty, Llc..
Frasier Park - Must Be Owner Occupied Neighborhood Has Reached Their Rental Cap. MLS#6528312. Berkshire Hathaway Homeservices Georgia Properties.